On April 26th, Hulu is premiering the first episode of its TV adaptation of Margaret Atwood’s prize-winning novel, The Handmaid’s Tale. Frankly, an extensive adaptation of that work couldn’t have come at a better time, and while it’s horrifying that it’s necessary, I’m nonetheless looking forward to it. The Handmaid’s Tale is an excellent novel telling a compelling story; and there’s a reason why now’s the time to tell it. The narration at the beginning of the first full trailer hulu put out… says it all, really. I was asleep before. That’s how we let it happen. When they slaughtered Congress, we didn’t wake up. When they blamed terrorists and suspended the Constitution… we didn’t wake up then, either. Elisabeth Moss plays the titular character — and there’s the first rub, because the title isn’t her name. It’s her function in the society she lives in, the Republic of Gilead (formerly the United States of America, what’s left of it after a coup staged by a Christian fundamentalist group). 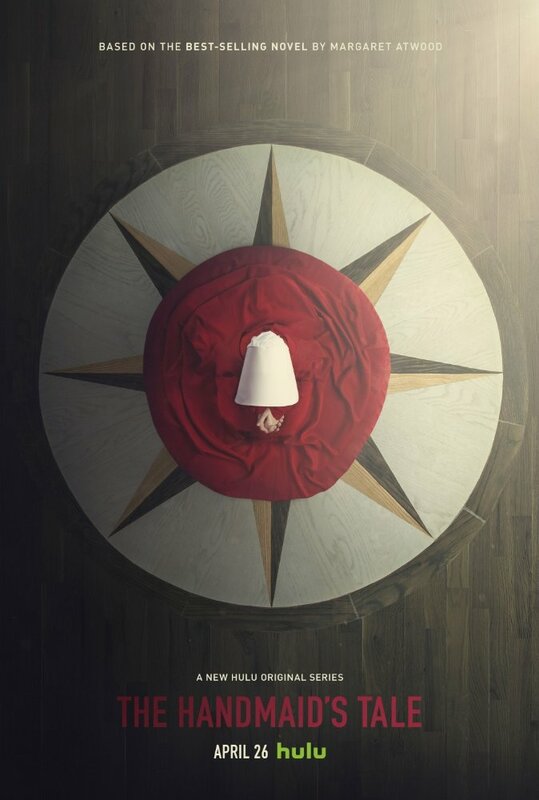 In an allusion to Chaucer’s Canterbury Tales, wherein the subchapter titles equate the narrating characters with their social role, The Handmaid’s Tale strips Offred of her agency as an individual. We do not even know her true name. Her new name is not a name, it’s a label, declaring her the property of a man named Fred, for whom she must bear children because his wife is barren, or be cast out. If unsuccessful, she will relinquish the moniker ‘Offred’ and move on; another ‘Offred’ will take her place. Names are dangerous, for they anchor the self in reality, and the women in Gilead lose theirs, maids and wives alike, being called Offred, Ofglen, or Oferic and Wife of Fred/Glen/Eric, respectively; as the ultimate logical extension of patronymic naming. We only wanted to make the world better. The Handmaid’s Tale is strongly metafictional, in that it is not only about Offred and her story, it’s about her telling that story, recording it. Even though she is narrating it (and conceding that her narration is highly unreliable), she has little agency over her own story even as it unfolds, or as she tells it in retrospect. If you’re familiar with feminist scholarship, Hélène Cixous’s écriture feminine will ring a bell. If not, here’s some context: Cixous contends that, if men control language and with it the written domain, then women’s stories are pushed away to become part of folklore and myth, which are both highly oral traditions. The women in Gilead are systematically denied any means of sustainable communication. They have nothing to write with, even a match is a crime, and they are forbidden from reading books. Thus, any personal histories are marginalised and repressed — lost unless there’s one to remember them and pass them on. That’s what happens in the case of Moira (played by Samira Wiley), whose story of escape is passed down by word of mouth. By stripping them of their names and the means to communicate, the maids become a homogeneous mass of red gowns and white hats; hats designed to limit their view of the world and protect them from the gaze of any man who is not their commander. Reading is constrained going as far as the Bible. It is kept locked away because Luther’s translation took power from the priests and gave it to the masses. What is known of Scripture has been “rewritten” to fit the government’s propaganda, and citizens have no way of checking whether what they’re being told about religion is true — in the trailer, Offred quotes the verse correctly, openly rebelling. That’s why she’s punished. Gilead represents the transformation of citizenship from positive to negative liberty (Isaiah Berlin, Four Essays on Liberty): exchanging freedom to — liberty — for freedom from — security. And that “security” only holds for some. Certainly not for women. Those who are fertile are forced into sexual servitude. Those who aren’t… are sent to die in the Colonies, which is the fate the trailer insinuates for Ofglen (Alexis Bledel). The lack of authorised female relationships is a symptom of the broader lack that plagues Gilead: that of true intimacy as a whole. The maids are not supposed to experience solidarity, for that could galvanise them. Offred establishes her own self through reading, and recording her story. But even the relationship she forges in Gilead, aside from friendships with other maids, are characterised by the Christian fundamentalist views of sexuality and its disconnect from love and intimacy. Luke (O-T Fanbengle) — her husband, before the coup. They had a daughter, who was taken. Offred has no way of knowing where they are, whether they’re even still alive. Fred (Joseph Fiennes) — he’s her Commander, and her service towards him becomes a sexualised friendship. Watching her read or write is his kink. It’s the ultimate perversion of the suppression of these women’s rights to have one of them having illegal access to education become a fetish for the one man who holds all the power over her. Nick (Max Minghella) — the Commander’s chauffer, with whom Offred begins an illicit, passionate affair, whose true ambitions cannot be trusted. The white Christian right in America elected a man who is known to have committed serial sexual assault, and his evangelical VP who has already moved to gut women’s reproductive rights, and who advocates conversion therapy for LGBTQ+ kids. The hatred that pervades our culture is no different from the disdain for human rights that drives the Sons of Jacob in The Handmaid’s Tale. And we must fight it. The song in the trailer is Pure as Snow my Mike Raznik, by the way, it’s available on iTunes.